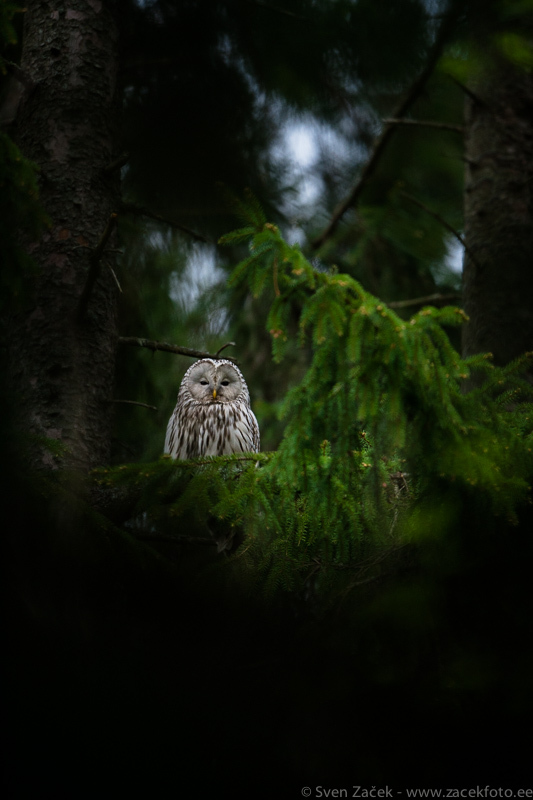 Female Ural owl surrounded by old spruce trees in her nesting habitat. I was lucky she chose a perch that was illuminated in such a way. Photo info - Spring: : Nikon D4 + Nikkor 400mm F2,8 VR. F2,8, 1/500, ISO 2000.